Hey YA and Book Fam! Make sure you sign up for the Scavenger program that is new here under the Scavenger tab! Cool prices and a Shoutout to you here at Indiewritersreview! Pump Audio states that there has been 80,000 placements for these independepent artist just last year! Pump Audio dispenses to those who love great music:) Also, to film, television producers and Indie Authors who may need original music for thos great book trailers! IWR "Rocking the Independent Spirit!" Hello YA and Book Fam! Happy Saturday:)We’re back here at Indiewritersreview! I am so glad…this is becoming my most fav place to be:) Hey, before we jump right into it…YA I have been hearing some murmurings as I keep my ear to what’s happening in YA dom:) Indiewritersreview has made it on the radar for more of you guys and that’s awesome! So, come on by and drop a comment; show some love here at Indiewritersreview or Indiewritersreview YA on Face Book! We’re Interactive:)So stop by, leave a comment for these fabulous authors who have shared their time, talents and mind tracks:)… ! Kate FuentesYA author of Elements series, wife, mother, shoe aficionado, champion for the oppressed, believer in original ideas, stickler for honesty, integrity, and loyalty, dreamer and enthusiast that all things are possible.Indiewritersreview gives a shout out to Ms. Fuentes who is in the process of putting together an Incredible event for readers and which will also benefit a HIV/AIDS orphanage in the township of Soshanguve, South Africa. Details will come at a later date…but here at Indiewritersreview we say…Ms. Fuentes you rock! NEW TWEENSCRIBE UPDATES MARCH 31ST! Tell me when you think of Indie Authors and the people who love reading their books; do you think of this? Here at Indiewritersreview MIND TRACKS! This is how we see Indie authors and their readers! Each week new updates by Indie authors,who give their time and Mind tracks to Indiewritersreview; Each author gives a snippet of how music added flavor; and at times inspired some of the cool books they write! A.M. HARGROVE author of SURVIVAL and Resurrection! SUZY TURNER author of The Raven series! 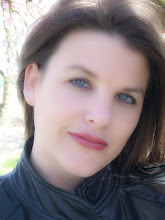 Ya and Book Fam, Please welcome WillowRaven artist extraordinaire to Indiewritersreview! I have said it many times, that to make a great book, it takes a colloraboration. Many hands work together to make a great book! That is why Indiewritersreview spotlights Indie Authors as well as editors, musicians(do those great book trailers) and many more. Another great contribitor in aiding the Indie Author’s vision to happen is having a great book cover! That is what readers see first! So today, Indiewritersreview welcomes a very talented Illustrator/designer to Indiewritersreview Willow Raven Illustration and Design Plus! Check out her award winning designs on these incredible covers; and then check out the interview with Willow Raven! FEATURE: NEXT ARTIST MULTIMEDIA SERVICE! IWR "Rocking The Independent Spirit"
They are a talented duo who provides an array of services that can be a HUGE benefit to the Indie Author! Everything from Web designs/hosting, music, and product designs for individuals and small businesses. They have recently entered the field of aiding Indie writers in book trailer productions; bringing to their designs years of experience in graphic art and music production! In fact NEXT ARTIST is the design/host for Tweenscribe and were the designers for my awesome book trailer for Reahket Bk.1! Take a peak at their services! So There you have it YA and Book Fam! :) NEXT ARTIST MULTIMEDIA SERVCES! Supporters of Indie Authors and their readers! Check out NEXT ARTIST interview under the interview section! See what’s on their mind! This week went extremely fast! Wow! A lot has happened here at Indiewritersreview! We had an Indelibles day:) The rest of the world called it Valentines day:) But here, it was our opportunity to show some love for a FABULOUS group of women. The Indelibles, are a group of authors who write Middle grade/YA fiction and guess what else? They are so-o-o- nice! Really, you know how it is; movie star, musician, author…I’ve heard it so many times before; fans say about their favs…”heard they were…(fill in the blank:)..hopefully whatever is said is good…like I always learned, nothing good to say, say nothing at all:) Anyway, what I do have to say; these ladies are not only incredible writers, but actually very nice to boot! :) So again I thank these gracious ladies. Check out in the Inkwell another shout out and kudos to fellow blogger Janiera Eldridge! Indelibles authors Anthology IN HIS EYES’s SHATTERED by Ali Cross. YA… Shattered gives a haunting glimpse, at the intertwining moments right before what seems apparent death for Ms.Cross’s,’ feature character in Shattered; Dangerously hot, bad boy James; and the defining moments in his life, all which centers around his passionate obsession for a girl named Miri. The story begins with James describing his horrific wounds and torture by the sadistic handling of a friend of his guardian Daniel, then the scene switches and James is recounting when he first meets Miri, the intentions that led to their meeting and the feelings that came afterwards. James is very good at what he does, he has the ability to walk the line between cool indifference, and keeping any girl in a perpetual state of wanting his attentions; then after Daniels plans are completed, or James becomes bored;then the girls are discarded and usually broken. Miri makes James forget who is he, and who he was raised to be…Miri is the cause of James wanting to be different, make different choices, better choices despite what Daniel believes. But who he has been, and the underlying desire to live up to the intentions Daniel has put into place…James follows through with his old ways. After his first initial meeting with Miri ,who captured his heart in her hands, with her innocence and beauty; the second visit begins the downward spiral for Miri, with James leading Miri through her one Achilles heel, alcohol… Each and every meeting he lures her into darkness with alcohol, allowing her focus to be on that, instead of himself for protection. For James knows in his heart, that if he even looks at her in the eyes, Miri will destroy his world, through love… because he would never be able to continue to live the life he has led,up until that point. But soon, in comes Desi,and James and Desi have a past, and James knows that where he was the shadow in Miri’s life, Desi would be the black abyss. He tries to protect Miri, but she is drawn away from him, which on one hand James is glad,because Miri is beginning to look better, be better again. But he knows an even more horrifying danger was in store for Miri as she remained friends, and under the influence of Desi.. I read Shattered and knew without a doubt that I needed more of James and Miri. I was drawn to the dark beauty, Ms. Cross hints is in James. A young man that had been taking in and delivered into a lush, and rich world with strings attached; trained in the arts of deception,one hardened in the mold of a rich playa; But who was afraid of love; and Miri, innocent, open but underneath has layers of darkness, that she attempts to suffocate with alcohol. Shattered left me with so many questions, why was James captured by Daniel’s friend? Where was Daniel? What was James history and why did Daniel have to take James in? Why was Miri hurting so much she numbed herself with alcohol. What specific danger did Desi pose to Miri, and what was the history between James and Desi? Ms. Cross lures you into Shattered, mesmerizes you with the world she creates and then leaves the reader no other choice…to read her full length novel, BECOME, featuring Desi, James and Miri! FAMILY BONDS is a short story based on Ms. McCorkle’s Channeler series! Fane a teenager who had just arrived in from Romania to America; lands in Spruce Knoll. He is learning of his surrounds and glad to be back amongst family. He is most excited to meet his cousin Eren. When asking after his cousin Eren, he is told that she went to a party; Fane with supernatural abilities feel that Eren may be in danger and without his family knowing; Fane goes in search of Eren,despite the danger that may erupt with his going due to his Family’s secret. Fane does locate Eren and in the midst of a crowd she is being attack by another Channeler. Fane plans to save his cousin. Fane with determination, is prepared to free Eren, by any means necessary; along with Aiden; an unexpected supporter.A super charge, supernatural battle ensues! Family Bonds will hit the spot for those that love fire and spark battles, with just the right amount of intrigue and mystery! by Heather McCorkle…YA Check it out! FINIS Y’ALL:) LOL ok, this was my way of saying that’s all folks! Make sure you stop by Indiewritersreview Trailers, Trailer Stop(MindTracks) and the Inkwell to check and show some love for Janiera Eldridge! As always YA and Book Fam! Happy Reading! Hello YA and Book Fam! Today is an awesome day! The day of lov-v-ve! Aw-w-w-:) Some of my YA are going Ew-w-w-w-:) Whether you are a fan of the big day of love or not one yet:); Maybe we can win you over today at Indiewritersreview! Today is not only Valentines Day! But All things Indelibles day! That’s right we are celebrating the release of the Anthology IN HIS EYES a collection of great stories from the Indelibles ; The grand theme of love races through each heart pumping tale; overlaid with adventures of action and thrills! :) So today we will look at this awesome group of writers and their new stories! Romantic tales from his side! Okay, now how long have we all been waiting for something like this?! Actually being able to hear the swoon worthy guy give his SIDE?!?! Wow:) well wait no further, these ladies have brought stories that will have you not only sighing, but heart’s pounding and adrenaline racing through the action and thrills that also mixed into this delectable valentines day treat! I will review three of the great stories from this Anthology today! But that’s not all!…Indiewritersreview will review a story each week from IN HIS EYES ! That’s right we can’t get enough of the Indelibles! When the Gamesdance comes around, Kira is the first person, the only person Raf is interested in asking to go with him. Although he has his doubts due to the fact, he is fearful that she will feel out of place… The slight hesitation in asking her, results in the opportunity for Jessica, a fellow school mate who has set her sights on Raf to make a dark deal. Raf either goes with her to the Gamesdance, or she and her friends will make life miserable for Kira. Raf is torn because he will not be around during the summer, already scheduled to go to an exclusive sports camp, and he is concerned about what will happen to Kira while he’s away. So he makes a deal with the devil, she-devil that is:) Which in itself has a whole bundle of bad consequences for him and Kira. I found this story to be a rare treat. Raf is perfectly drool worthy, but shows kindness and loyalty to his friend, the girl of his dreams. Yep, a complete package this Raf is a keeper:) This is a tantalizing tidbit that makes the reader want more! Ahh…okay, let’s see…what’s next in this wonderful Valentines day assortment?! This is the story of Cody, a teen boy who had been sent to live with his uncle after getting into some trouble back home. Cody’s dad was prepared to send him to military school, but his mother’s younger brother agreed to take him into his home. Things are rocky at first, but soon Cody finds his way and a niche for himself through his love of karate, books(and dreams of writing) and Cody is also drawn into his uncle’s world of stock car racing! So things doesn’t look like it can get any better, but in walks smart, hot upperclassman Megan, who Cody, would never dream would be interested in him, but she was and the story begins with their best date. Cody and Megan embark on their date, doing the usual;movie, dinner and it is there over conversation, that things deepen between the two;Cody tells Megan of growing up and how his mom was never there for him, the desire for her love and his father’s acceptance, Cody shares his dreams of wanting to write, something no one else knows. Cody and Megan talk and they connect far deeper than they both expected. As the night ends, Cody realizes that his “hot” date truly warmed his heart by accepting who he is, and the knowledge that this was the best date he has ever had so far and the knowledge that there were more to come! I found this story was a great example to YA, that there is more to it all than whose hot and whose not:) That friendship, caring compassion are great attributes to celebrate everyday and what better day to acknowledge this, than this day of love! :) Awww! Then one day a supernatural scene occurs right in class, which causes “his redhead” to scream, lose control and has Luc questioning all that he thought was true! These stories are just the first few bites in a whole ensembleof goodies in the Anthology IN HIS EYES, from the Indelibles authors! New release today! In His Eyes is FREE at Smashwords, and $0.99 at Amazon and Barnes&Noble – hopefully to go free there as well by our release date on February 14th for Valentines Day. Or you can add In His Eyes to your TBR list on Goodreads. THAT’S NOT ALL, WE’RE NOT FINISHED YET! Each week new updates by Indie authors,who give their time and Mind tracks to Indiewritersreview; by giving a snippet of how music added flavor and at times inspired some of the cool books they write! AND CHECK OUT MORE DETAILS ON THE INDELIBLES AND THEIR NEW ANTHOLOGY IN HIS EYES UNDER INDIEWRITERSREVIEW INKWELL! Happy Valentines Day all:) Celebrate with your loved one and a little Indelibles! We’re back!!!!! Hope that you had a FABULOUS week! And it’s Saturday! Saturday! Saturday! oooh! :) I have a little tune stuck in my head! ; but on with what is happening here at Indiewritersreview! NOW SOME COOL INVITES FOR YOU! You’re Invited to check this out! JOSHUA GROVER-DAVID PATTERSON OF BLOOD CALLING! So check out Indiewritersreview Trailer Stop! and see what’s on these authors mind! YOU’RE INVITED TO SHOW SOME LOVE! CHECK OUT THE INDIEWRITERSREVIEW SPOTLIGHT ON THESE FAB AUTHORS AND THEIR NEW ANTHOLOGY! This week, Indiewritersreview will showcase a review of Elements(The Beginning) and an interview by the marvelous Kate Fuentes! But the responses have been awesome! The idea of discovering what influenced your fav writers when writing these awesome stories…I’ve been told…is great! Nope, Want to mention please check out the interview of Kate Fuentes under author interview, Check out fantastic book blogger Soumi Roy’s (Page From My Thoughts blog)…great Valentines give away in our Inkwell section and Michelle Brooks ,Bone Dressing and other great book trailers in Indiewritersreview book trailers! This week will look at Elements (The Beginning) by Kate Fuentes! Elements follow the story of two brothers Gage and Talon, dynamic sons of Gable and Jacquelyn. After the death of their mother Jacquelyn, Gage and Talon are raised by their father Gable. The boys began to show that they weren’t just normal children; Gage with his power of the mind and affinity for water. Talon, with his physical strength and affinity for fire; these boys grow to be formidable young men. The brothers are destined to be the guardians standing between humanity and an ancient evil that seeks to return to this plane. Throughout the story, the young boys turn young men, are encircled by a loving father, a saucy, yet doting nanny… Leia and her eccentric but soon it’s revealed… knowledgeable and powerful uncle Maui. The boys are trained in battle techniques and taught of their heritage,in preparation of the war that will ensue between themselves and the dark one according to prophecy. I recommend Elements(The Beginning) by Kate Fuentes, a Top Pick! :) Check out Ms. Fuentes second installment in the Element series!